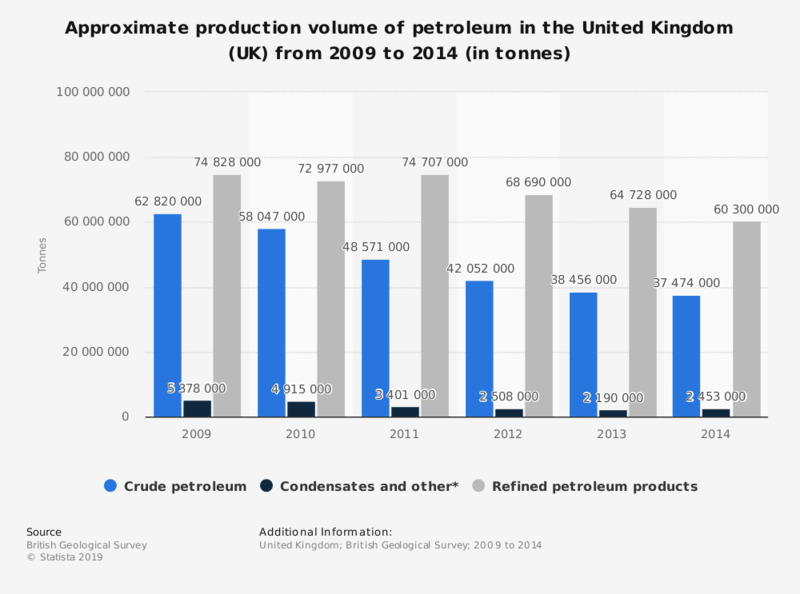 This statistic illustrates the annual production volume of petroleum in the United Kingdom (UK) between 2009 and 2014, by type. In 2012, 42.6 million tonnes of crude petroleum was produced in the United Kingdom. * Including ethane, propane and butane, in addition to condensates.